Half Egyptian fantasy and half futuristic chic, this waterlilies motif slave bracelet is also a nearly elbow-length sleeve. The cobalt blue waterlilies are all slightly different sizes, just as in nature none of these lovely flowers are exactly alike. 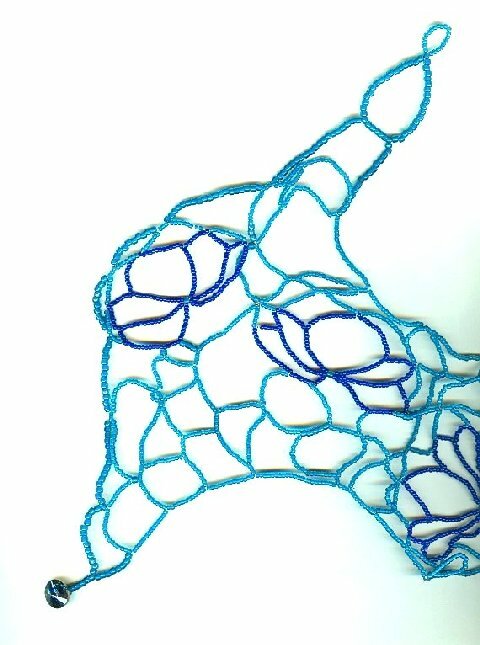 The body of the sleeve is worked in peacock blue, making the waterlilies really stand out. I designed the slave bracelet sleeve to be worn on either hand; the finger piece fits on the forefinger of the right hand, and the ring finger of the left. 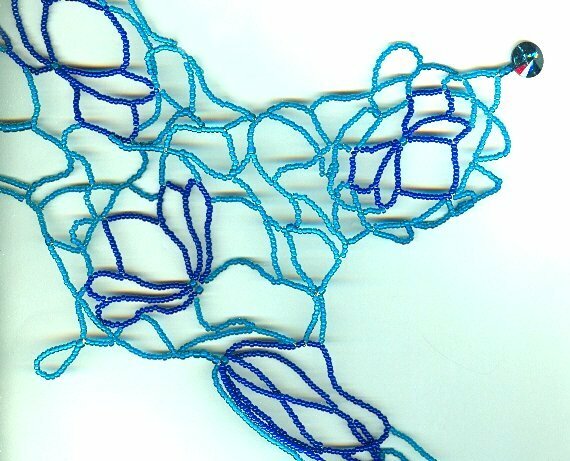 The Waterlilies Slave Bracelet closes with a pair of deep blue crystal buttons. 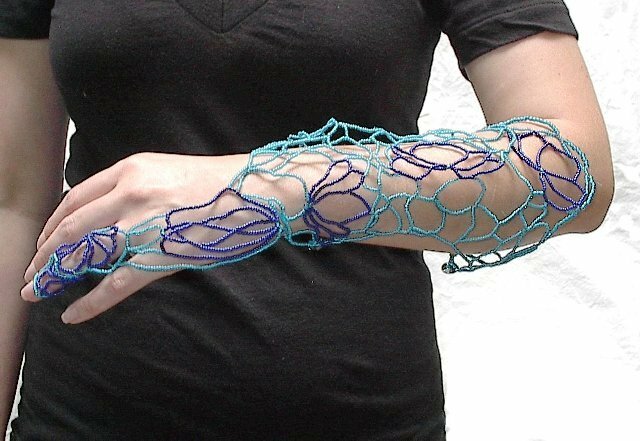 As you can see, the sleeve is a bit loose on my model, Stacy; had she purchased the Waterlilies Slave Bracelet, I?d have altered the sleeve to her specifications, as I would for any other buyer. From the tip of the finger piece to the edge of the sleeve measures about 14-3/4?, but that?s without taking the considerable stretch involved into account. Please note that in the third and fourth images, you are seeing the Waterlilies Slave Bracelet with the finger piece oriented toward the bottom right. The beads are strung on wire and on Illusion? cord, in varying places. Why not let waterlilies bloom in your life? 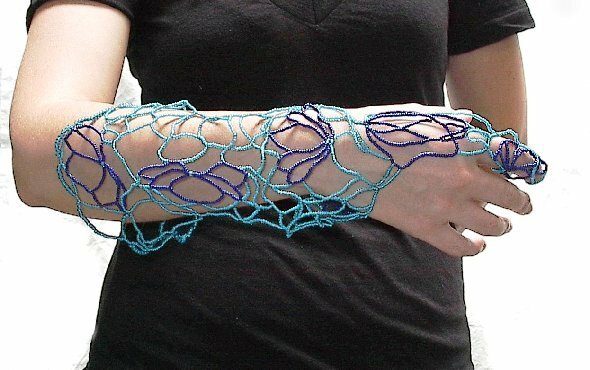 Naturally, this utterly one of a kind slave bracelet sleeve is from SPARKLE PLENTY.